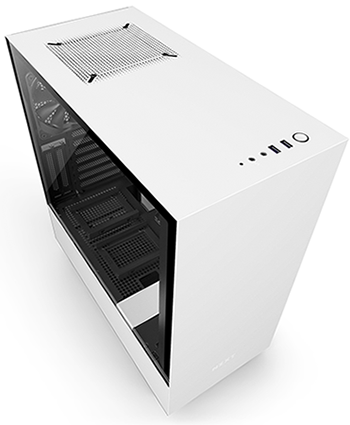 NZXT has been busy refreshing its catalogue of PC enclosures with a modern range launched under the H-Series umbrella. We've already taken a closer look at the flagship H700i, but this week's arrival of the H500i is arguably of more interest to most mainstream builders. 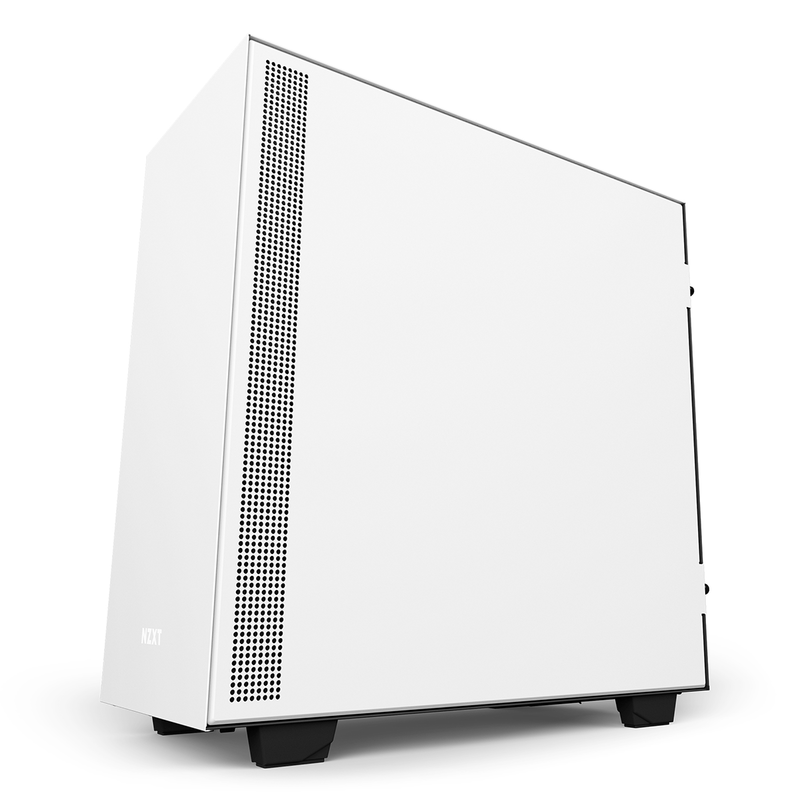 Priced at £100 and introduced as a successor to the ageing but much-liked S340, the H500i has the makings of a well-rounded mid-tower that won't break the bank, so let's take a closer look. Sleek, two-tone styling is a signature feature of the H-Series range, and the H500i doesn't disappoint. Available colour options include red, white (pictured) and blue, as well as an all-black model for those who prefer to keep things simple. 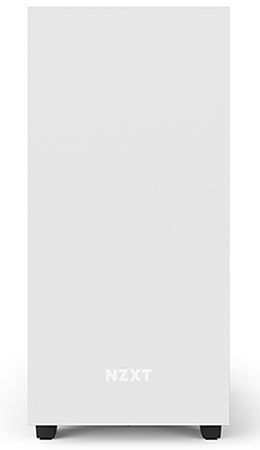 All four utilise a matte finish that's elegant and not at all gaudy, and our white review sample is really quite trendy in the flesh. 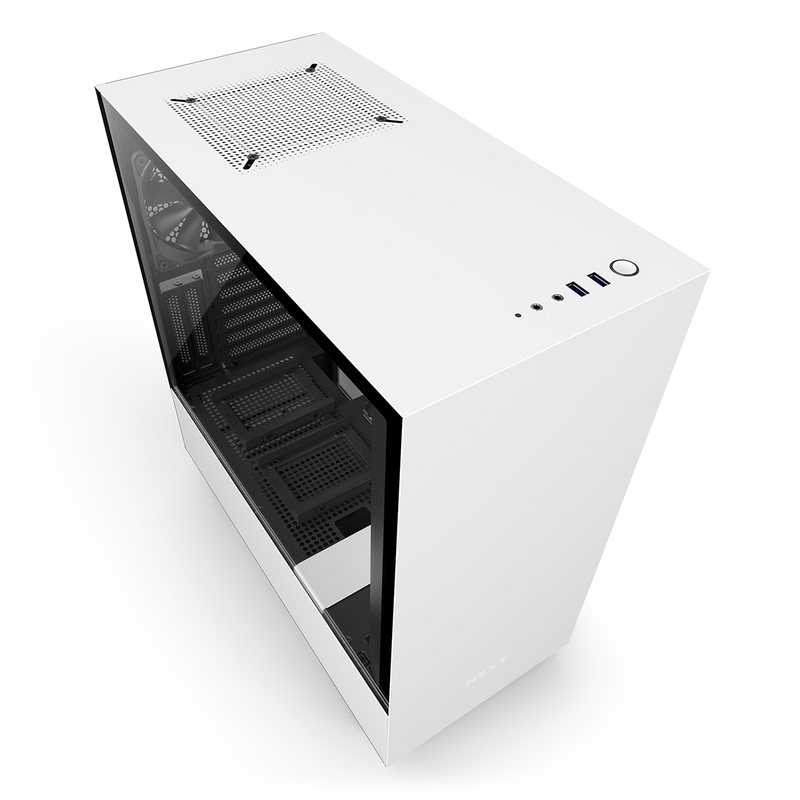 What helps the case appear stylish is a relatively petite form factor. 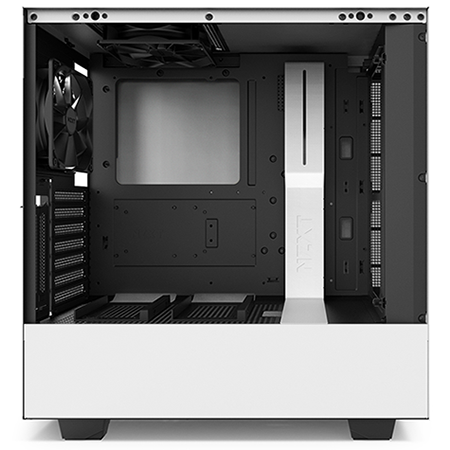 Dimensions of 210mm (W) x 460mm (H) 428mm (D) are ample for a high-end build without feeling bulky, and NZXT's steel frame feels nice and rigid throughout. We particularly like the fact that a single piece of steel covers the front and top sections, and the steel plate covering the PSU area also works well - who really wants to see in there anyway? 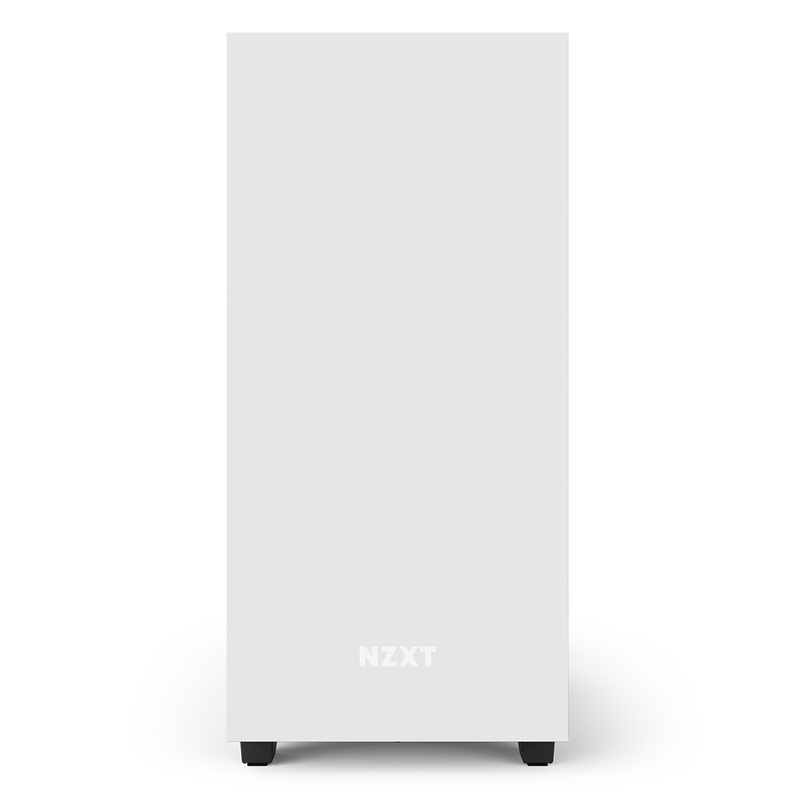 Other design highlights include the subtle NZXT logo on the front, which shimmers in the right light, and a perforated vent on the front-side edge that is very neatly implemented. 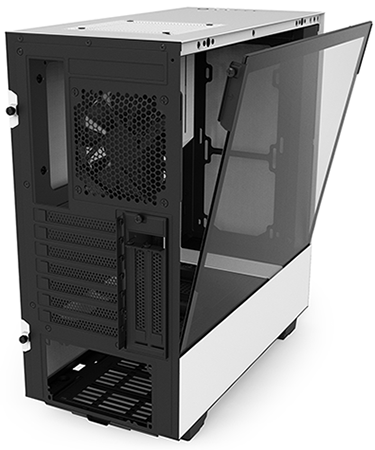 Then there's the tempered glass panel, which isn't tinted and clips into place before being secured via a single thumbscrew. I personally might have preferred a subtle grey tint, yet this remains one of the better glass implementations, and not having to undo four screws just to get inside is a genuine plus point. 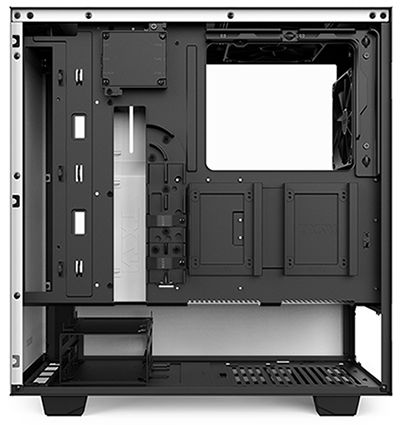 Given the attention to detail in most areas, it's a shame NZXT continues to drag its heels with regards to I/O. Lining the top-front edge is a pair of USB 3.0 ports, the obligatory audio jacks, a small HDD LED and a backlit power button. The basics are covered, however the omission of a reset switch is a bugbear, and in mid-2018 we reckon USB Type-C ought to feature as standard. There's room for improvement on the I/O front, and we aren't entirely convinced by the single top fan mount; it detracts from the solid steel aesthetic, and we'd rather a 240 mount or nothing at all. That's a minor gripe, mind, and the interior is ultimately well laid out with all the provisions you'd expect on a modern enclosure of this size. 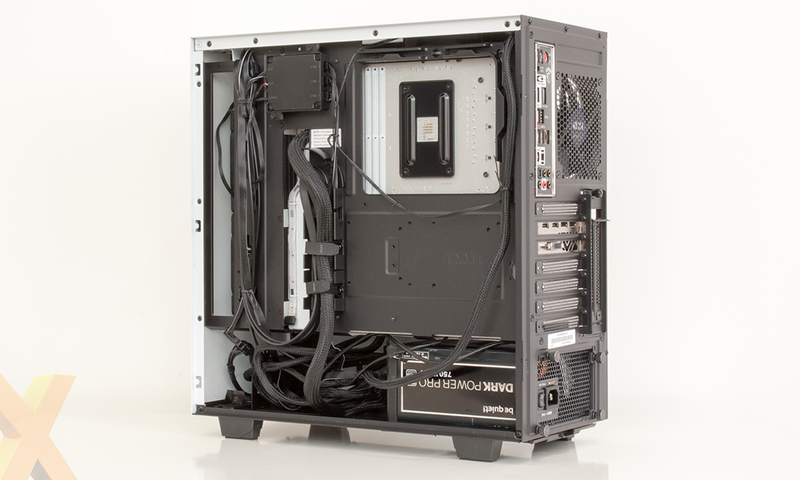 These include a pair of quick-release 2.5in SSD trays that can be attached to the top of the PSU bay or the rear of motherboard tray, a cage for housing two 3.5in hard disks, and two bundled exhaust fans; a 120mm Aer F120 up top and another at the rear. 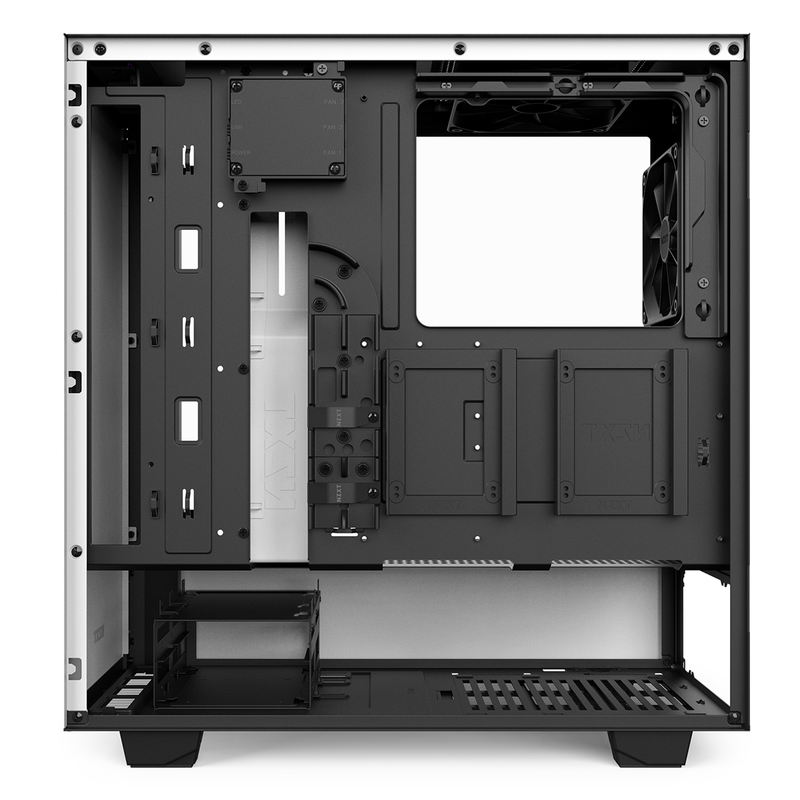 Mini-ITX, Micro-ATX or ATX are the supported motherboard form factors, and though there are no rubber-grommets, NZXT does a decent job of cable management with holes to get above and below the motherboard, as well as a plastic cable-routing tray outfitted with Velcro straps. 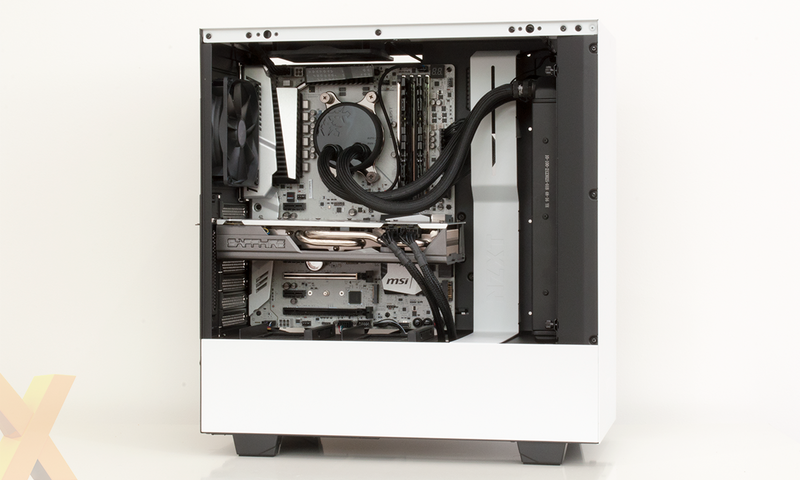 What's handy is that the front-panel connector has a single header, so you needn't faff about with multiple small jumpers, and we had no trouble achieving a clean finish with our test build. 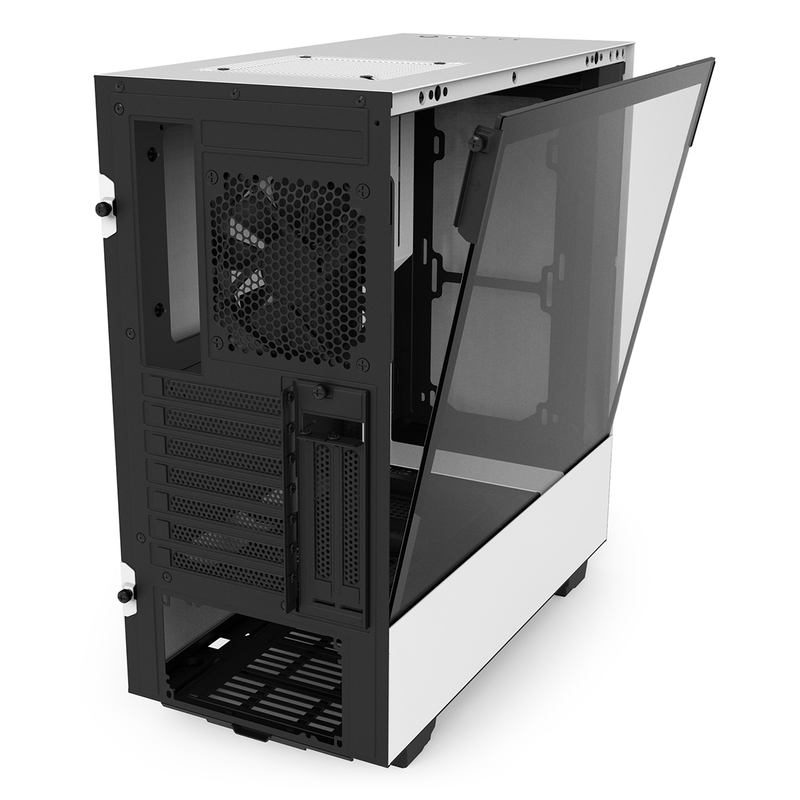 In terms of cooling performance, the top and rear fan mounts are bolstered by the ability to install a pair of 120s or 140s in the front. Making radiator installation a cinch, these mounts are positioned on a removable tray that comes away after undoing a couple of thumb screws, and though the solid front panel will restrict airflow, the side vent appears to be doing a decent enough job, as evidenced by the benchmarks on the next page. 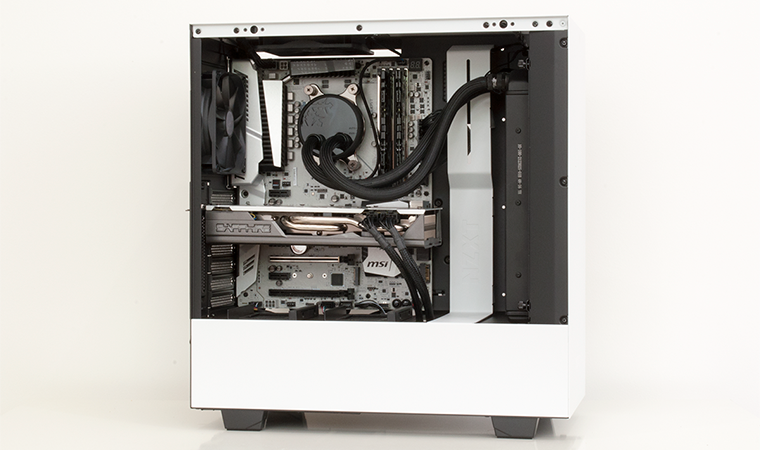 An integrated reservoir mount is at hand for custom loops, there are two further expansion slots alongside the usual seven for vertical graphics card mounting (though you'll need to supply your own riser cable) and the top, side and bottom vents are all filtered to help keep dust at bay. 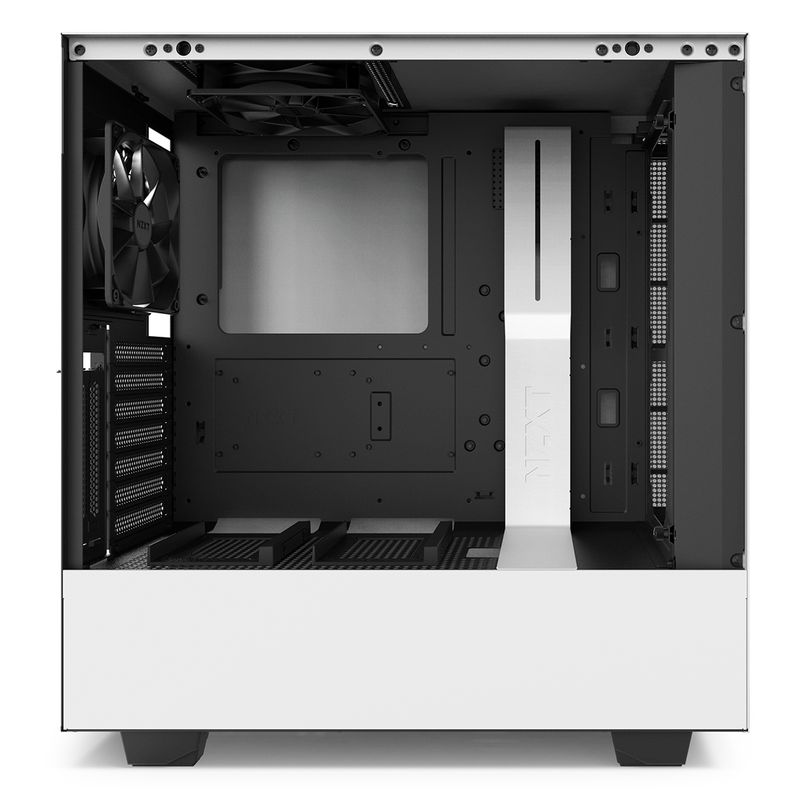 NZXT gets a lot right, but isn't the £100 price tag a little steep? The reason for that is the inclusion of a CAM-powered Smart Device on the back of the motherboard tray. 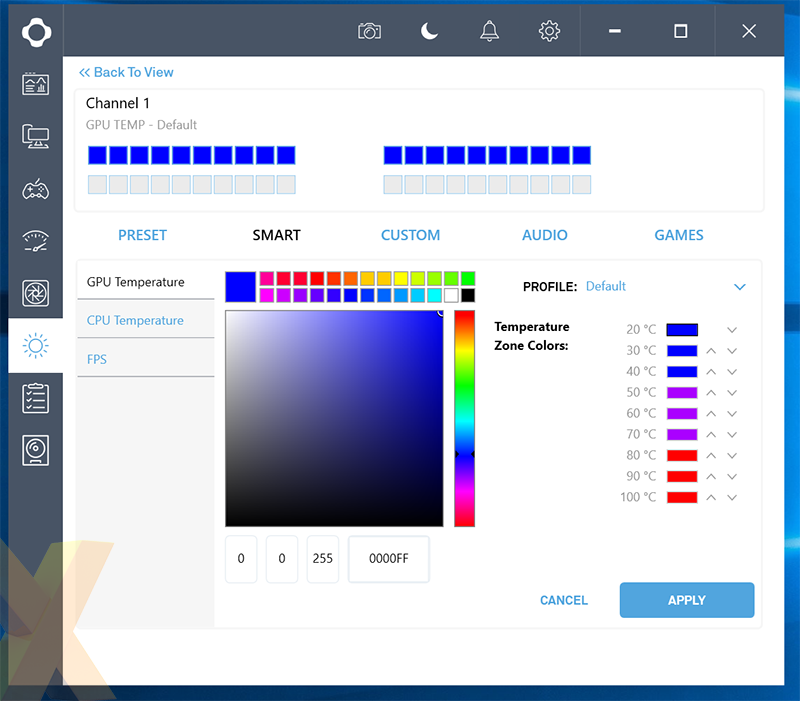 Offering lighting and fan control in one unit (think of it as HUE+ and GRID+ in one), the Smart Device has the two chassis fans pre-attached, a three-way splitter for further fans, and two addressable RGB LED strips included as standard. 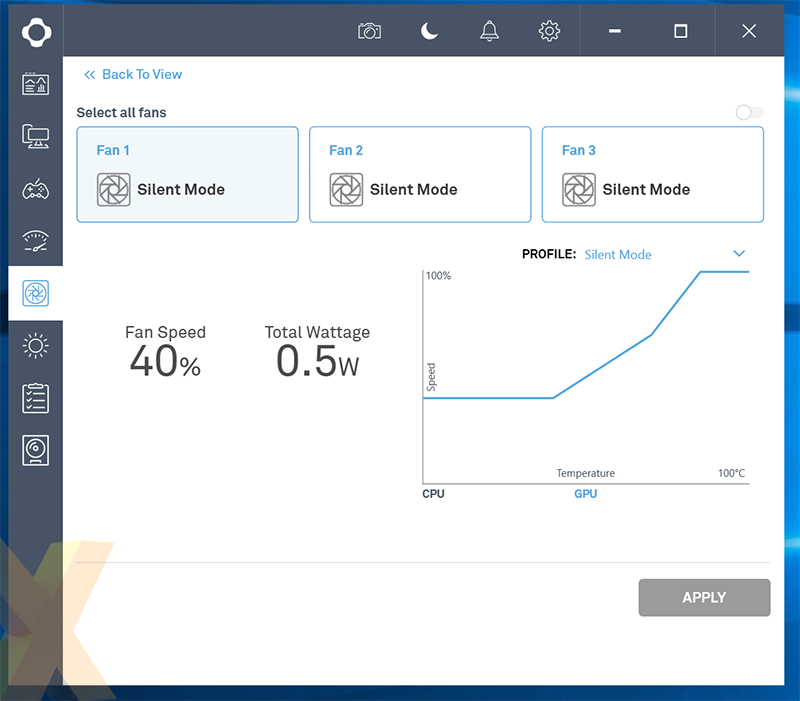 The out-the-box smart lighting effects are admittedly neat, there are fine-grained fan controls, and adaptive fan control, first introduced with the H700i, has been streamlined with a quicker automatic configuration process. 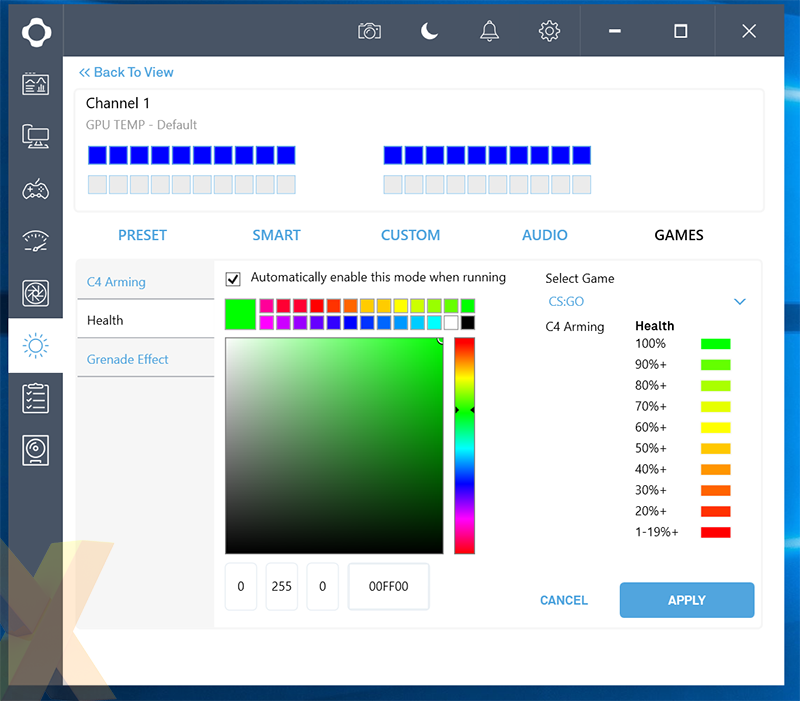 The CAM-based niceties are fun to play with for a short while, but we aren't convinced there's a good enough reason to be locked into a specific ecosystem. Fortunately, if you're planning to use lighting of your own, you'll be pleased to hear that a standard H500, sans Smart Device and RGB strips, is available for £70. 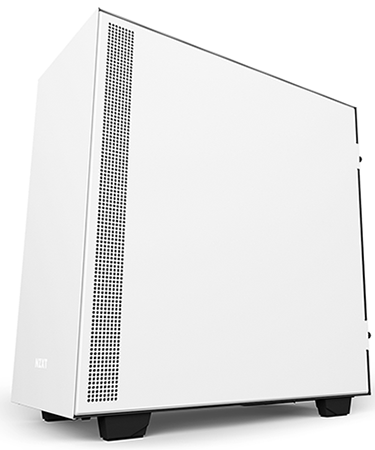 We know which model we'd choose, and there's no two ways about it, our AMD Ryzen test platform looks terrific inside the case; there's plenty of space around back for all our cabling, and the build process is painless from start to finish.